Down by the waterfront you can look out on the iconic Brooklyn Bridge and take in spectacular views of the Manhattan skyline from the famed Brooklyn Heights Promenade. Though many of the surrounding neighborhoods are within walking distance, you are also well-connected to the rest of Brooklyn, Queens, and Manhattan by the A, C, F, N, and R lines at Jay Street-Metro Tech and the 2, 3, 4, and 5 at Court Street-Borough Hall. The neighborhood is primarily known for its blocks of picturesque brownstone rowhouses some of which date back to the early part of the 19th century. There are a variety of architectural styles, from Greek Revival through Victorian Gothic along with some Federal houses. The most coveted homes take advantage of the sweeping waterfront views of the East River, but wherever you live in Brooklyn Heights, there will be something beautiful to look at. The work of the Brooklyn Heights Association has ensured there are very few high rises in the neighborhood. However, fans of contemporary Brooklyn apartments for sale and Brooklyn rentals can still find what they are looking for in converted warehouses and new condos. 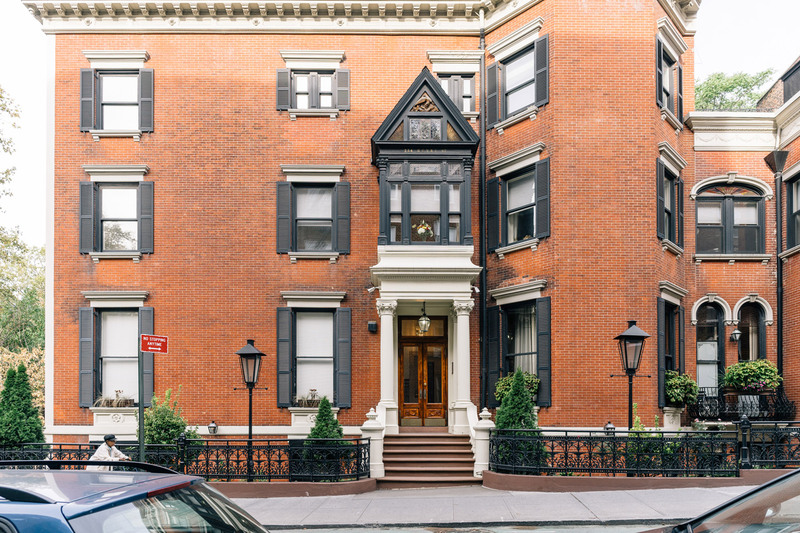 Brooklyn Heights is a neighborhood that lives and breathes history. As early as 1642 ferries were running to Brooklyn Heights from across the East River serving the farms that proliferated in the area. After the defeat at the Battle of Long Island in 1776, George Washington withdrew his troops here and made it is his temporary HQ before hightailing it across the river to Manhattan. In the early part of 19th century, influential landowner, Hezekiah Beers Pierrepoint, managed to get the state to declare the area a village, which meant the neighborhood had sidewalks and streets laid out in a familiar grid pattern. Moving into the Civil War era, Brooklyn Heights was heavily associated with the abolitionist movement, owing to the speeches of Plymouth Church pastor Henry Ward Beecher. By the 19th century, bankers and merchants began to build homes in the area and it became a place for wealthy suburbanites to live. With the building of Brooklyn Bridge in 1883, the area became more accessible, and this led to an influx of new residents which in turn made it less desirable to the affluent who began to move out. By the 20th century it was artist's enclave where W.H. Auden, Truman Capote, Carson McCullers, and Norman Mailer lived. 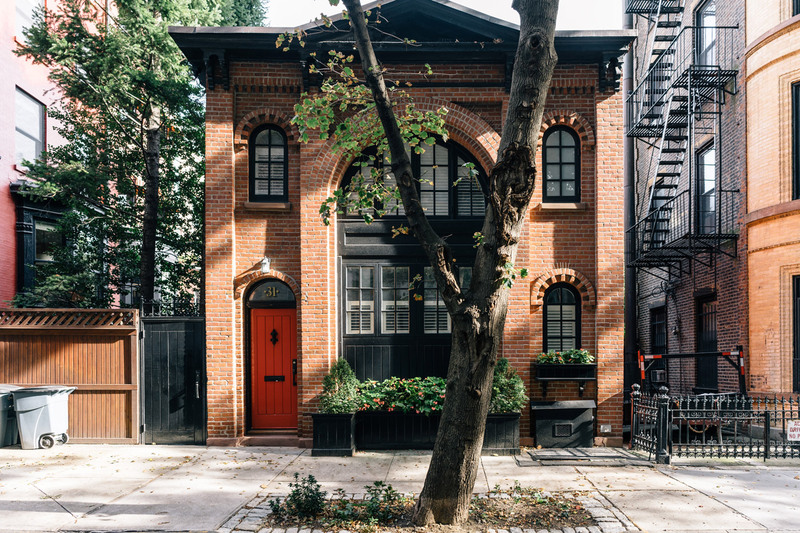 After a period of decline in the 1950's the old homes of the neighborhood were beginning to be restored and Brooklyn Heights started to become of the most desirable addresses in Manhattan once more. Constructed after the war, the Brooklyn Promenade offers beautiful views of Manhattan as well as stunning views of the historic waterfront homes. Nearby is Brooklyn Bridge Park, an 83-acre site along the East River waterfront that includes gardens, playgrounds and places to eat and drink. As you move away from the waterfront, you'll find the Brooklyn Historical Society, founded in 1863 and dedicated to the preservation and study of the boroughs' 400-year-old history. Appropriately enough the New York Transit Museum is in a former subway station and is dedicated to exploring the transport systems that have kept New York moving from the 18th century through the 21st. The historical Plymouth Church was a center for the abolitionist movement owing to the sermons of its pastor Henry Ward Beecher and has a rich and varied history, playing host to Mark Twain, Abraham Lincoln, and Martin Luther King. Tours are available weekdays and Sunday after service. 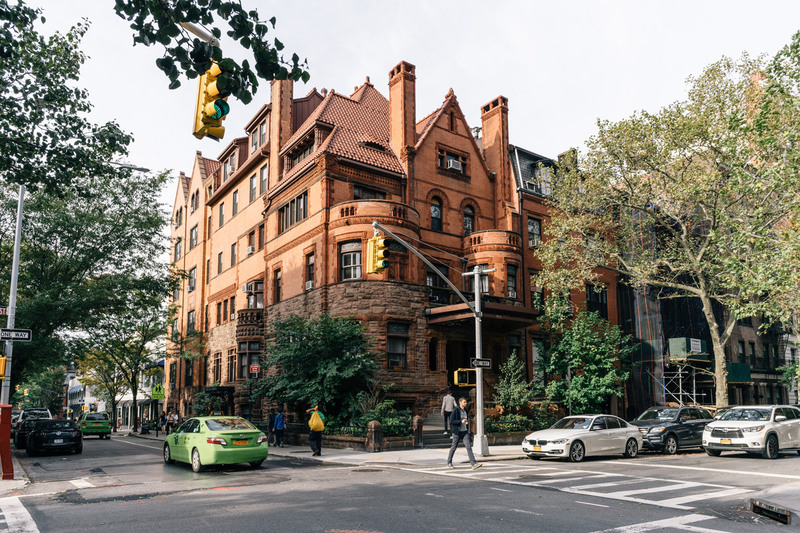 Finally, the unusually named 'fruit streets,' Pineapple, Orange and Cranberry are home to some of the area's most beautiful homes and are an interesting place to stroll around while taking in Brooklyn's past. For housewares, there's Collyer's Mansion, which showcases eco-friendly furniture and original artwork, as well as Holler & Squall, a vintage store which has a range of eclectic items for sale. Here you can find stuffed animals and oversized French birdcages along with some interesting furniture pieces. Brooklyn Women's exchange is a not-for-profit volunteer run craft store where you'll find knits, greeting cards and children's toys amongst other things. 70 cents of every dollar spent will go to the artisan who created what you bought. For clothing, Tango is a high-end women's boutique first opened in 1970 with a range of clothing from top designers. Then there is Goose Barnacle, a menswear store that will keep the chicest of Brooklyn looking the part. Finally, there's Sahadi's, a James Beard award-winning middle-eastern market that has been operating in Brooklyn since 1948. Here you can choose from a host of middle eastern grains and spices that are hard to find anywhere else. Also, the store offers takeout gourmet meals and a range of coffees, cheeses and packaged specialty foods from around the world. If you love pizza, you've come to the right neighborhood. First, there is Grimaldi's, thought by many to offer the best coal oven pizza in the city. Next, just a few doors down is Juliana's, which like Grimaldi's can often have lines forming outside. Finally, there is Dellarocco's where you get a wood fired pizza rather than coal-fueled one, but the results are equally delicious. Once you've had enough pizza, there's cash-only Noddle Pudding, a low-key spot that's so under the radar it doesn't even have a website. They serve well-priced Italian in a down-to-earth setting. Next, we have Gran Electrica which has light Mexican food and a beautiful backyard, while Iris Café is a neighborhood joint on a lovely block of Brooklyn Heights giving you seasonal Italian and an excellent brunch. Chez Moi is a welcoming brick-walled space that is known for serving classic French fare like escargot and steak frites, along with tempting desserts like creme brulee. An inventive cocktail menu and Nouveau French music add to the ambiance. Rustic Colonie draws its inspiration from the surrounding neighborhoods with a menu that features food bought from local farms. The bar has a selection of sustainable wines, regional beers, and cocktails made with artisanal spirits. Finally, Queen Restaurant has been owned by the Vitiello family since first opening in 1958. It serves cuisine from over 20 regions of Italy all made with the highest quality seasonal ingredients. For beer drinkers, there's Henry Street Ale House, which serves a range of microbrews in a casual setting and The Roebling Inn, a low-key retro bar with local ales on tap. There's also some great cocktail bars in the area like The Binc, a dark and intimate space that's great for a date, and fashionable Long Island Bar, that offers a fifties style drinking experience in retro surroundings. A more sophisticated evening is available at Bargemusic, a floating chamber music venue based under the Brooklyn Bridge. Concerts generally feature the works of European classical composers and performances occur throughout the year at this 170-seat venue. At Le Boudoir, the interior is supposedly modeled on Marie Antoinette's chambers and seems like the perfect place to enjoy drinks and live music.